Food Sci Anim Resour 2019;39(1):65-72. Food Sci Anim Resour 2019;39(1):45-53. Food Sci Anim Resour 2019;39(1):121-138. The Korean Society for Food Science of Animal Resources (KOSFA) was founded in 1978 as the Korean Society of Meat Science initially and transferred to the present title in 1993. Since then, KOSFA has contributed to the development of industry and academia related to animal origin foods in Korea through exchanges of academic knowledge and practical experience. 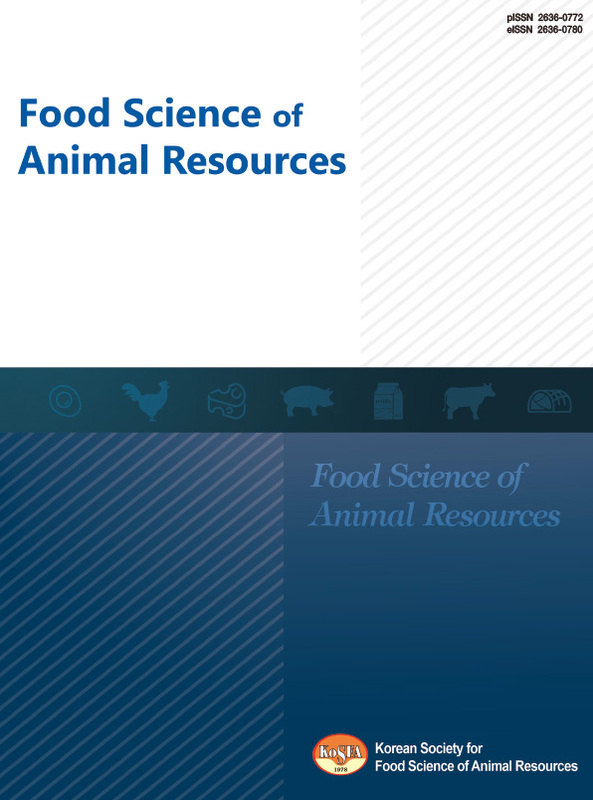 The Food Science and Animal Resources, which is published regularly by KOSFA, is now one of the most competitive international academic journals in the field of animal origin food science and technology. This journal has been making remarkable progress by being indexed by KCI, SCI(E), PubMed Central and SCOPUS. In addition, a magazine, Food Science for Animal Resources and Industry, is being published twice a year to exchange knowledge, introduce advanced technology, and communicate present issues and future trend with animal origin food industry. KOSFA is making real efforts to share the rapidly changing trends and relevant knowledge with members, regulatory authorities, and industry and building a strong cooperation system among them. For the reasons, each year, KOSFA holds annual international conference regularly in spring and several symposiums, seminars, and workshops on various issues raised from industry, academia, authority, and consumer both domestically and internationally. KOSFA continues its efforts on the development of industry and academia of animal origin food science and technology.